Cloud Computing Airline Industry might appear to most as separate and unrelated. 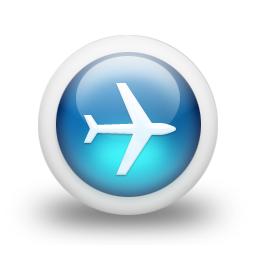 Fact is, Airline Industry needs space on centralized host and softwares. Due to the economic conditions the capability for expenditure on IT and telecommunications by Airline Industry becoming a big burden. Cloud Computing however can help and is helping Airline Industry by various ways. Basically, Airline Industry needs the various approaches and adaptation methods used in Cloud Computing. Alternative payment systems, New products to boost sales, Booking portals for business customers needs mainly Public Cloud and Software as a Service parts of Cloud Computing. Previously and still many Airline Industry using own datacenter or Colocation hosting rather than Cloud Computing or Cloud Servers. The core part of Airline Industry which includes mobile services, notifications about flight status and delays, saving the internal data of each and every flight needs a huge storage space as well as computing power which can be managed by either Hybrid Cloud or Private Cloud computing. For Public Cloud Computing or rather the SaaS parts, most Airline Industry can rely on Cloud Computing. But for the core part like long relied on legacy communications systems to transmit information, Airline Industry bears a fear in their mind as the core part of Airline Industry which includes notifications about flight status and delays, saving the internal data of each and every flight has the risk of getting the internal data distributed to third party. Most uses Private Cloud Computing separately. The approach to Cloud Computing by the Airline Industry is often wrong and increases the financial burden as well technical burden due to the facts, that adaption to Cloud Computing by any Airline Industry needs time and the wrong approach to use SaaS or Public Cloud Computing and Private Computing separately. If Hybrid Cloud Computing is used by the Airline Industry, they could have more room to play plus using Infrastructure as a Service might solve various difficulties. This Article Has Been Shared 172 Times! Cloud computing offers the small business to use enterprise set up at a fraction of cost, it is allowing Open Source, free projects completely free of cost. Private Cloud Computing offers more adaptability,more safety, more control over the Public Cloud Computing Platform. In this article,we will discuss the points. Cloud Software or Own Purchased Software on Own Server, which method is best suited for successful collaboration in business in uncomplicated data exchange. Private Cloud and Virtual Private Cloud do have some very cheaper options if you have basic knowledge of UNIX commands. OpenStack is Free Software has options. Cite this article as: Abhishek Ghosh, "Cloud Computing and Airline Industry," in The Customize Windows, June 16, 2012, April 21, 2019, https://thecustomizewindows.com/2012/06/cloud-computing-and-airline-industry/.